The breakpoint for piece pricing would increase for standard mail from 3.3 ounces to four before weight-based increases would apply. 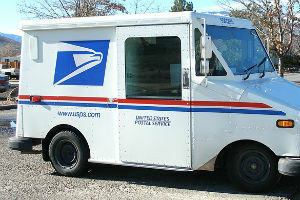 Similarly, first class commercial mail often used by companies and nonprofits would see a third ounce added to the flat starting price. Actual pricing is expected to be announced in November, according to Stephen Kearney, executive director of the Alliance of Nonprofit Mailers. Kearney anticipates an overall rate increase of 1 percent when changes are made effective Jan. 22, 2017, with some services receiving a larger or smaller bump in price. Increasing the threshold before added weight-related charges apply will allow mailers to send more pages on heavier stock for the same price. USPS has also proposed the removal of most Flat Sequencing System (FSS) pricing, according to Kearney. FSS is a flat-mail ordering system for mail such as magazines and catalogs. USPS, since last year, has offered special FSS pricing to incentivize mailers to go to facilities using the system. Moving mail around proved to be expensive for many, however some nonprofits reportedly saw a decrease in expenses using FSS that might go up with a switch to carrier route. More than any weight increase or change in service, Kearney said that his biggest takeaway from the proposal is the fact that USPS is making it and seeking out feedback. Kearney said that a 2015 rate increase was not disclosed ahead of time and confused mailers. In some cases it took several months in the new pricing model for mailers to understand the impact. Kearney said that he anticipates a second proposal, factoring in feedback USPS receives, to come out in October followed by pricing information in November. After the official November filing with the Postal Regulatory Commission, a decision on whether to move forward with the proposals will be rendered within 45 days – making final changes available sometime in December.